HURON, S.D. 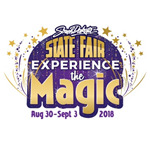 – The South Dakota State Fair has announced its 2018 State Fair theme, Experience the Magic. Each year the South Dakota State Fair boasts a variety of events including livestock shows, 4-H exhibits, carnival rides, free entertainment, beer gardens, Championship Bull Riding and grandstand concerts. An updated State Fair logo has also been designed and can be viewed on the South Dakota Department of Agriculture’s website, sdda.sd.gov, under Happening Now. 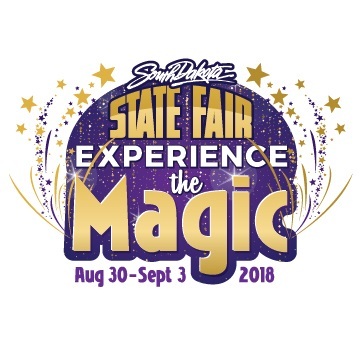 The 2018 SD State Fair is scheduled for Thursday, Aug 30, to Monday, Sept 3,. For more information on State Fair events, contact the Fair office at 800-529-0900, visit www.sdstatefair.com or find them on Facebook or Twitter. Agriculture is a major contributor to South Dakota’s economy, generating $25.6 billion in annual economic activity and employing over 115,000 South Dakotans. The South Dakota Department of Agriculture's mission is to promote, protect, preserve and improve this industry for today and tomorrow. Visit us online at http://sdda.sd.gov or find us on Facebook, Instagram and Twitter.